What is (or rather, was) Herobrine? Curse's Minecraft Wiki does no longer want to host information about it, so — what is this Herobrine thing that would have been removed? 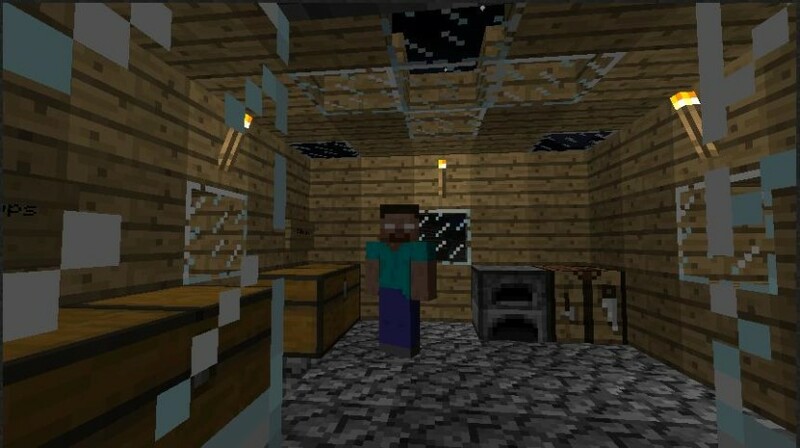 Herobrine was a fictional character that was said to 'haunt' Minecraft. People would fake screenshots saying he followed them into caves or whatever. He was said to be Notch's dead brother (who doesn't exist). With the mod that allows you to bring fake NPCs into the game, it became more common to put fake Herobrines into the game. He does not exist and is a joke. This was Notch's response - trolling. There is a ton of backstory and stuff here. Herobrine was and is an joke. It was made by re-skinning some textures, and was a story people made up to go along with it. 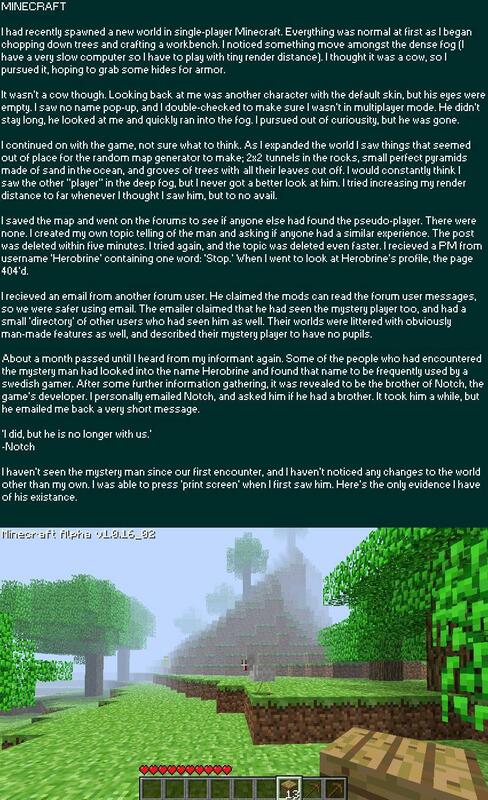 I assume Notch said he removed it because the whole of Mojang seem to be trolls. Has 'Herobrine' ever been in Minecraft? Will my Minecraft 1.1 world ever contain a Jungle biome? Does Minecraft have an API? Have snowballs actually ever been able to hit players in vanilla? What is the newest version of Minecraft that still has Soul Sand features? How to get Minecraft to work in my Oculus Rift? Is there any way to create a variable in minecraft?